Uh oh. Beat a drum slowly. Or if you’re in the Harper PMO beat a gong furiously. The Deaner is DOWN !!!! A judge has found Peterborough, Ont., MP Dean Del Mastro guilty of spending too much in the 2008 federal election and falsifying a document to cover it up. 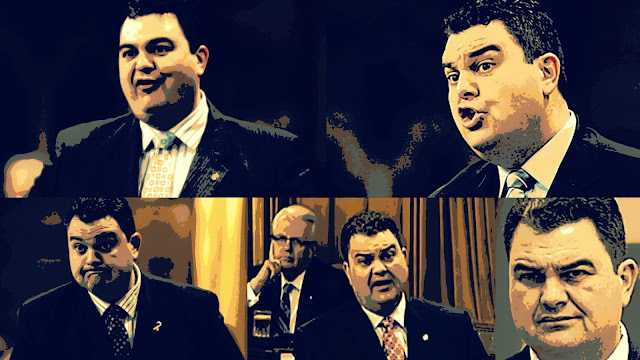 Del Mastro now faces the prospect of losing his seat in the House of Commons and possibly being sentenced to up to a year in jail and a $2,000 fine. “Anyone convicted of having committed an offence that is considered to be an illegal practice under the act is not entitled to be elected or sit in the House of Commons for a period of five years from the date of conviction,” Michelle Laliberte, a spokeswoman for the Office of the Commissioner of Elections, told CBC News. And all I can say is it doesn’t look good eh? And boy are we going to miss him. Who can forget the colourful way he answered questions in the Commons? In her decision, Judge Lisa Cameron said that in her view, from the timing of the contract and its language, it “is plainly a contract for election services.” She also said that she found Del Mastro wasn’t credible, “frequently obfuscated” during his testimony and that there were a number of inconsistencies. And they were ALL appointed by Stephen Harper. Who must be deeply worried about the effect all of this could have on his own good reputation. Until he dumped him like a sack of potatoes. A spokesman for Prime Minister Stephen Harper said the government accepts the court’s decision. “Mr. 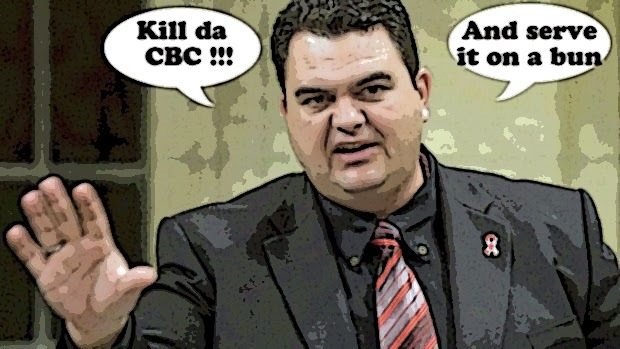 Del Mastro has not been a member of the Conservative caucus for some time,” Jason MacDonald told CBC News by email. And really what more can I say? Except that I have a feeling that the Deaner is still going to play a BIG role in the next election campaign. And that if after the Cons are defeated, they decide to hold a reunion. I hope they invite me eh? Because it should be a hell of a PARTY !!!!!!! 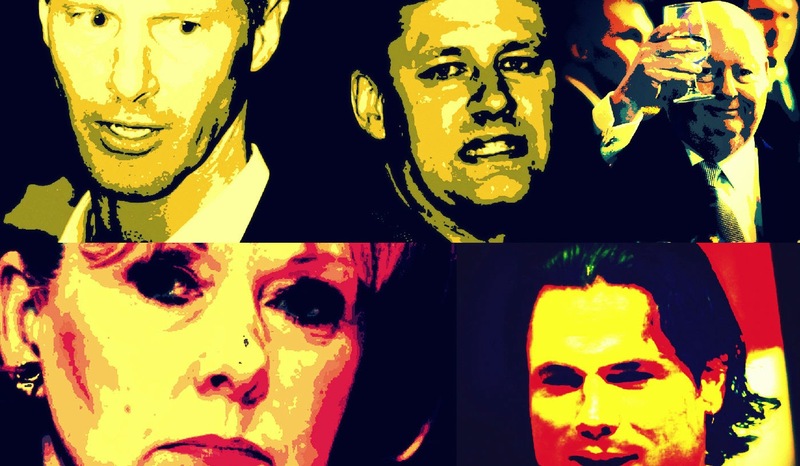 Have been reading a book – Party of One – listing all the corrupt activities of Harper&Co. I dare all CPC’s to read it.